Previous month has been all about starting fresh, but this month is more about integrating the change and putting your goals into action. You can use the opportunity this month’s energy offers us to reduce the unnecessary distractions that waste your energy while focusing it towards the things and activities that fill you up. This month is smart to start doing something about the things you want to succeed and achieve. 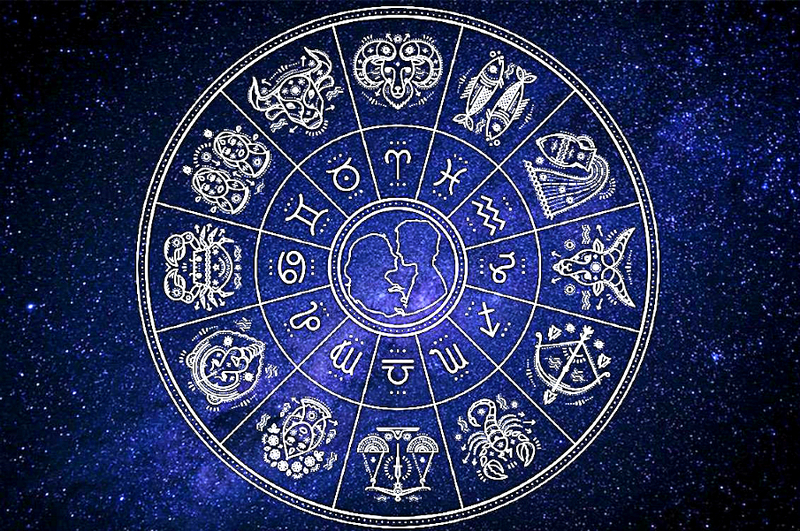 Here is what astrology experts from Gostica predict February is bringing for each Zodiac Sign! Dramatic events may happen in your life this February. You have the mindset of a leader and hence proceed in your plans as the stars are on your side this time. Set some ambitious goals and go for it! Relationships seem complicated and doubtful this season. But strong physical relationship may solve certain problems at least temporarily. Career may get a progressive growth. You should attend collective events. Activities that involve an audience or a group is favorable for you. You may come across a passionate love at any moment this month. Your professional houses are doing well so keep yourself inspired. Cultivate friendship and group activities, but rely first and foremost on your own strengths! Relationships will be smooth and mutual understanding will remain strong. In terms of career you will stand out, assert yourself and earn others attention. Careful when driving and about long distance relationships! Your life will become more animated this February and you will feel the necessity for acute affection. Expect competitions and struggles this month but the end product will be successful. Careful about what you say or write! You may face confusing moments but then do not get disheartened. They won’t bring much negativity as it will appear. You and your partner may deal with financial challenges. You can consider investing in property. Don’t waste your money! If you borrow, you’d better limit yourself to what you really need and only for investing, not spending. Your love life may ride a roller coaster anytime. Be prepared for it and enjoy the sudden drastic changes. Be diplomatic and cautious in term of your career. Do not hasten in decision making. Take care of your own issues and let others deal with theirs! You may not want to do what you will be doing this February. Frustrations and tensions may prevail but then things will normalize at a later stage. Your talent and creativity will be used wisely. Drive carefully and pay attention when handling mechanisms with parts in motion, hot or sharp objects, toxic, inflammable or explosive substances! You will have a month full of intimate explorations with your partner. A passionate and lovely month it would be. It terms of career you will flourish as well. Keep a clear mind, particularly when dealing with money! You may face love issues which are hard to be discussed. You may also have a bothering unnecessary family member poking in your life. Your chances of earning brilliantly are good in the area of goods and real estate. Careful with wiring, plumbing, heating, burner gas, appliances and so on. There’s a risk of incidents, accidents or failures in the home. You might meet a new love interest or if you are already in a relationship then you both may explore beautiful things about each other. You will get all the support needed this month to succeed in your career. Travelling frequently is in the possibilities. Drive really careful! It’s risky out there. Relationships are in sort of a hibernation stage for you this month. You will get involved in energetic actions which will increase your wealth or provide great resources. Fight for efficiency, make schedules, lists, strategies, and so on! Get organized!